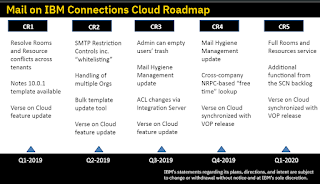 msbiro.net: Expect the unexpected: today I saw an IBM Connections Cloud roadmap for 2019 ! 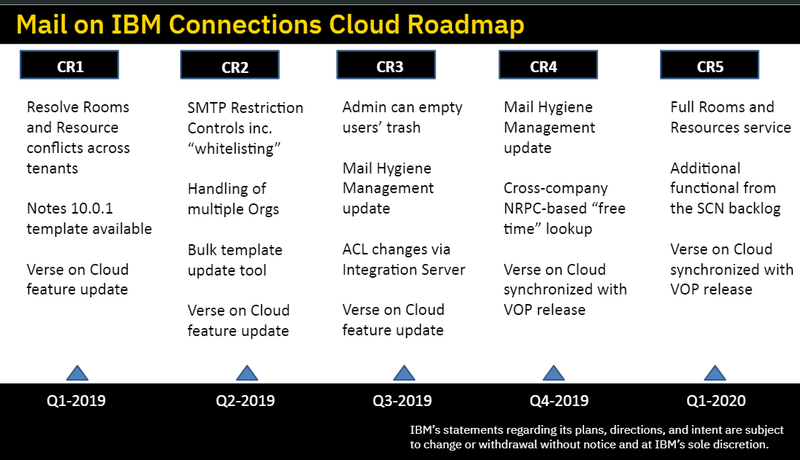 Expect the unexpected: today I saw an IBM Connections Cloud roadmap for 2019 ! 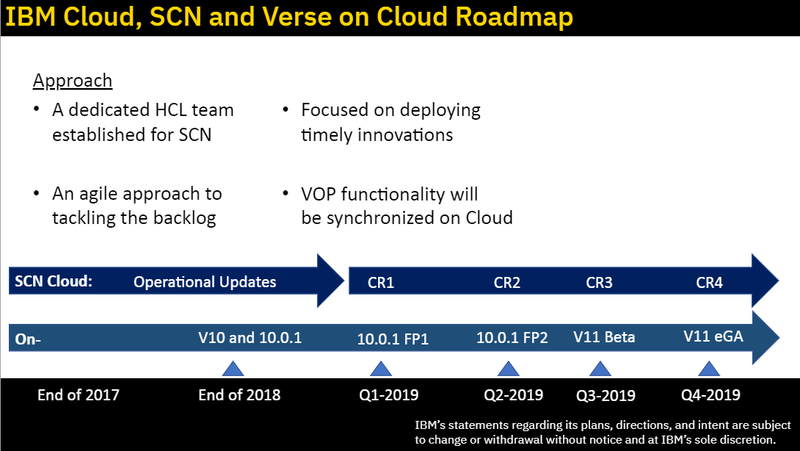 "Let's Get Real: What's in Domino V11"
Andrew Manby, Richard Jefts and Luis Guirigay has presented what's new will be released for Domino, Notes and Sametime V11. If you have missed this opportunity, the replay will be published during next days on this blog with the Q&A. 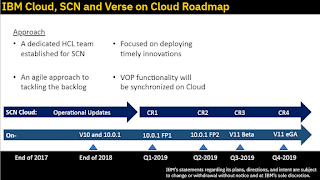 Most of the info's was already anticipated during HCL Factory tour 2 in Milan , with the exception of the slides dedicated to Connections Cloud ! Below you coudl see the 2 slides presented today where it's announced a new dedicated team from HCL will be in charge of the cloud maintenance and the introduction of the CR concept for the cloud that will guarantee the introduction of the features released for the on-prem software: AWESOME !! I'm really happy to get this nice news regarding the cloud !